Get wild! Wild rice makes a delicious, nutty and nutritious accompaniment with everything from thai curry to chicken soup! Cooking Directions: Bring to a boil 3 parts of water for 1 part rice. Add sprinkle of salt and 1 tsp of oil. Reduce heat, cover and simmer for 50-60 minutes. Let stand 10 minutes before serving. Add your favourite seasonings. Very good taste, cooked perfectly. Finally found this in organic! Very tasty. After trying a few brands, this wild rice is the tastiest. I love it. 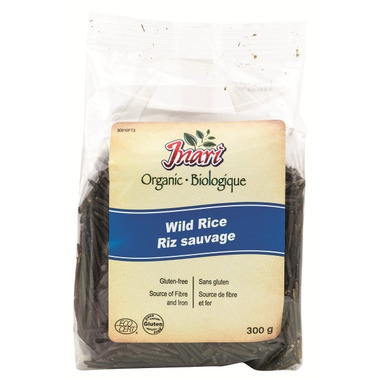 I love wild rice, I always mix some up with my brown & white basmati rice , makes a great dish! My husband loves it too! 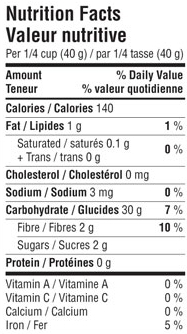 Delicious and nutritious. Very satisfied.